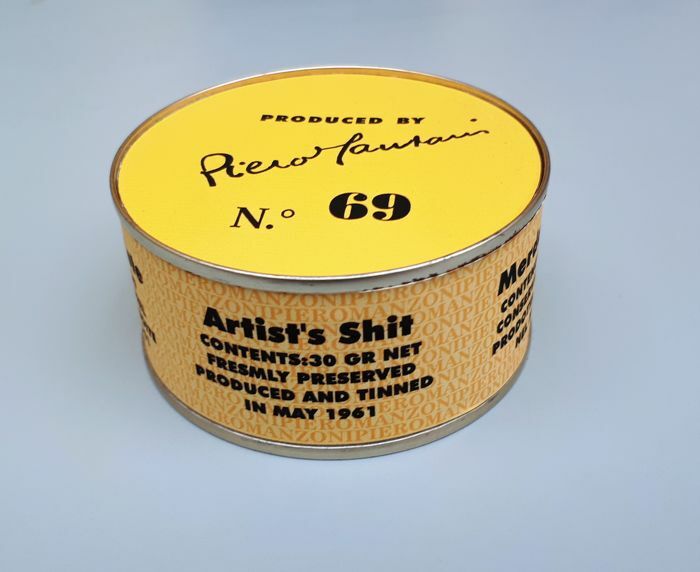 Replica of the most emblematic item of the Zero-movement, then produced in a circulation of 99 copies. 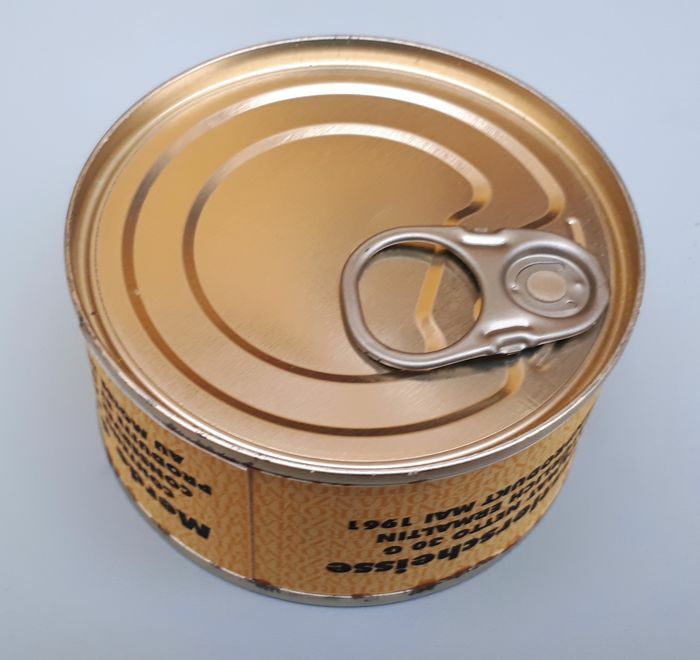 The title is printed around the tin in four languages. 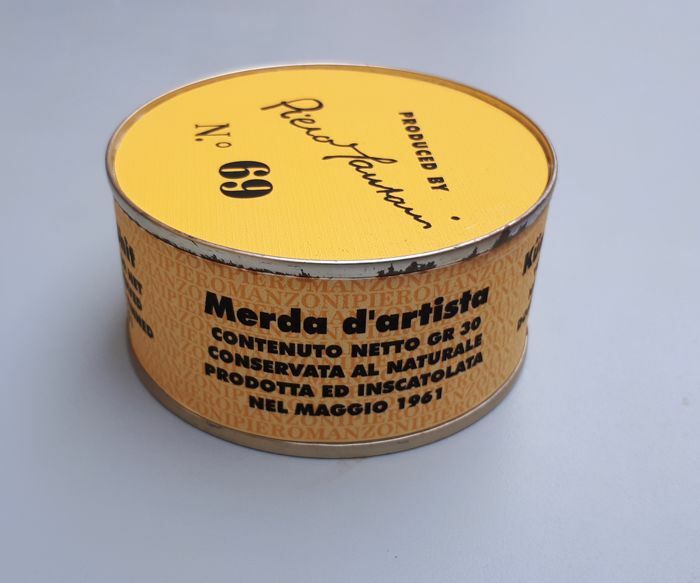 The remarkable work of the experimental Italian artist Piero Manzoni is often considered as conceptual art. However, the artist died at a young age, even before this art movement became a dominant movement within the art world in the 1970s. 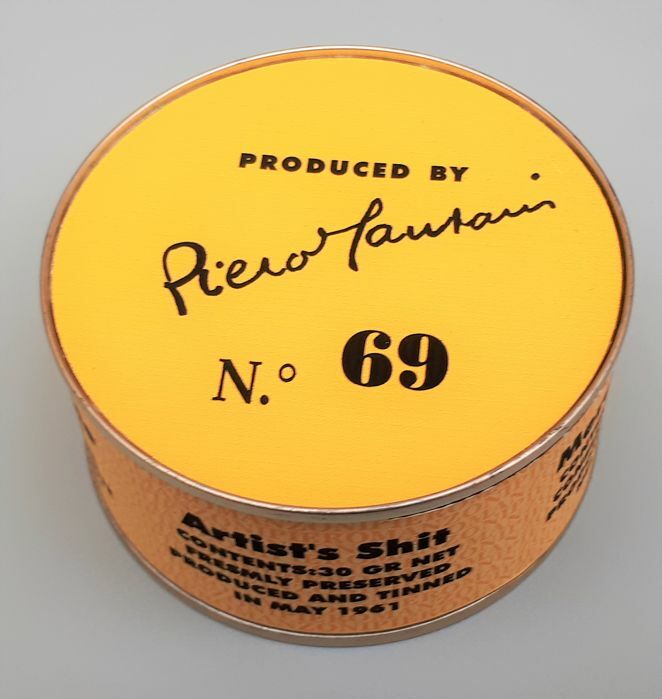 In 1961 he looked into his own excrement, and then signed it neatly. He exhibited this Merda d'artista at Galleria La Tartaruga in Rome. 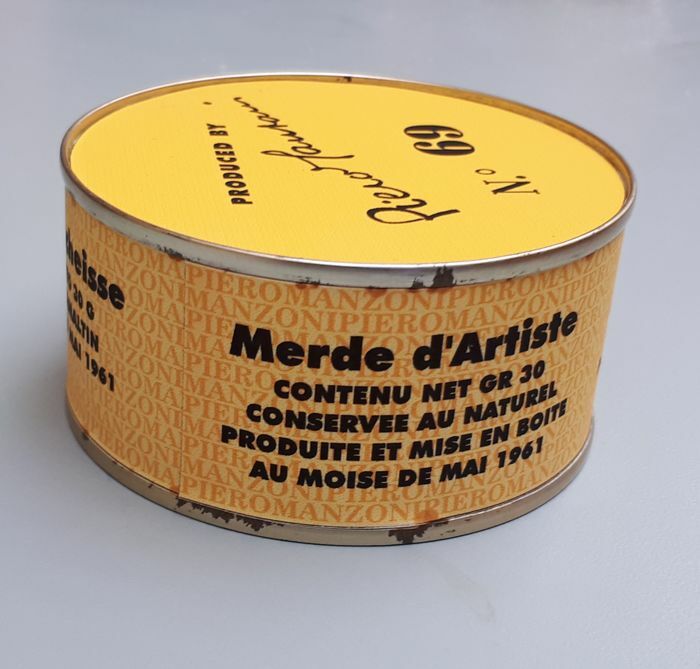 The selling price of the canned 'Merda d'artista' was based on the daily price of the weight in gold. 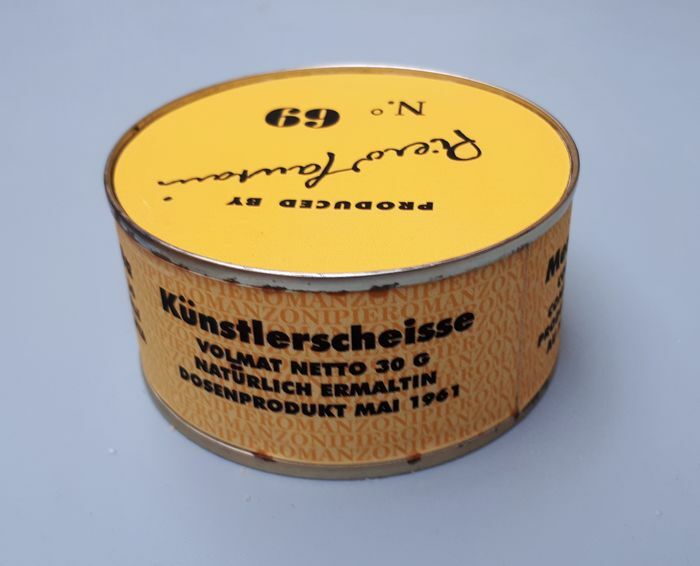 The tin is in good condition, a few rust spots on the edges, like the original.